Tiny Liechtenstein are the only UEFA member without their own league as their teams play in the Swiss League system. FC Vaduz, the sole representatives in the Swiss Super League, are nearing relegation. 55 Football Nations may divert away from top division football to the secondary Challenge League to represent Liechtenstein. Post script: FC Vaduz were relegated from the Swiss Super League. 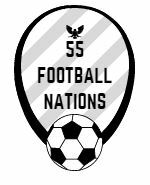 55 Football Nations will now cover 55 football leagues, all of the 54 top divisions and the Swiss second division.